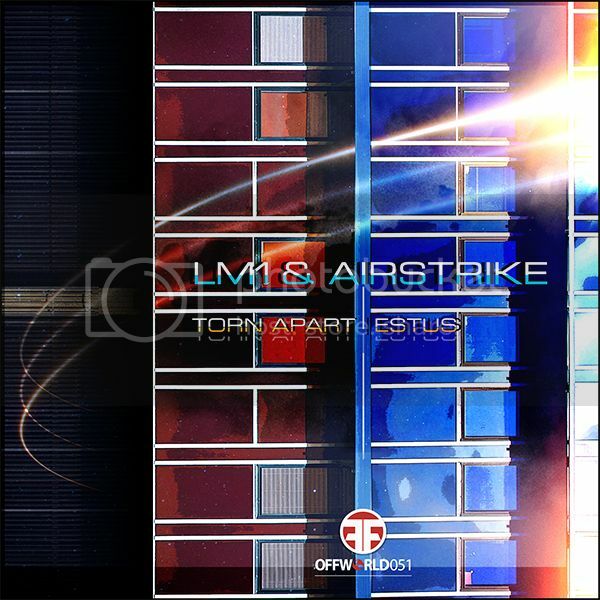 Offworld boss 'LM1' and fellow Offworld artist 'Airstrike' team up for an electric ep on Offworld. 'Torn Apart' is a full on melodic stepper with sweeping pads, warm bass, deft synths and a memorable vocal. 'Estus' is deep and hypnotic with lush pads and subtle melodies punctuated with vocal touches and a riff that ebbs and flows. Look out for more tracks from LM1 & Airstrike forthcoming this year.